Here's the latest version of the Iron Warriors. Please have a look and let me know if you have any questions, comments or suggestions. I think the list is getting pretty close to finished. LINK to the battle report thread. Last edited by Onyx on Thu Nov 12, 2015 8:05 am, edited 15 times in total. Looks good. I'll give it a go. Question for fun, how did you convert those Defilers? Aquatic mammal helpers that have since gone extinct. I'll be posting up a battle report thread soon. I got a game in on the weekend vs Codex Marines. Looking forward to seeing a report for this list. I've played against Console Avenging Angel with him playing the IW and it is a interesting list to play against. I especially like the combination of Defilers and Dreadnought formations. Although CAA hasn't had the chance to see if they are truly effective as they are the top of the to break list in our games. Siege is the correct spelling. Q: is this going to be official NetEA or will it be on its own? Thanks for the questions guys! I haven't changed the Siege (thanks for picking up my spelling mistake ) Dreadnought stats since I inherited the list from Steve54. This list will be part of the NetEA Compendium eventually (Steve54 started the list with this in mind). Once the list is locked down, we will need 6 play-tests (playing against approved NetEA armies) from 3 different gaming groups around the world (with battle-reports if possible) to gain NetEA approval. That is my goal for the next 12 months (or sooner if possible). The Raptor upgrade cost is a straight copy/paste from all other Chaos lists they are in. The Assault Marines are something new for Chaos. There is a 2.5pt difference between the upgrades per stand. 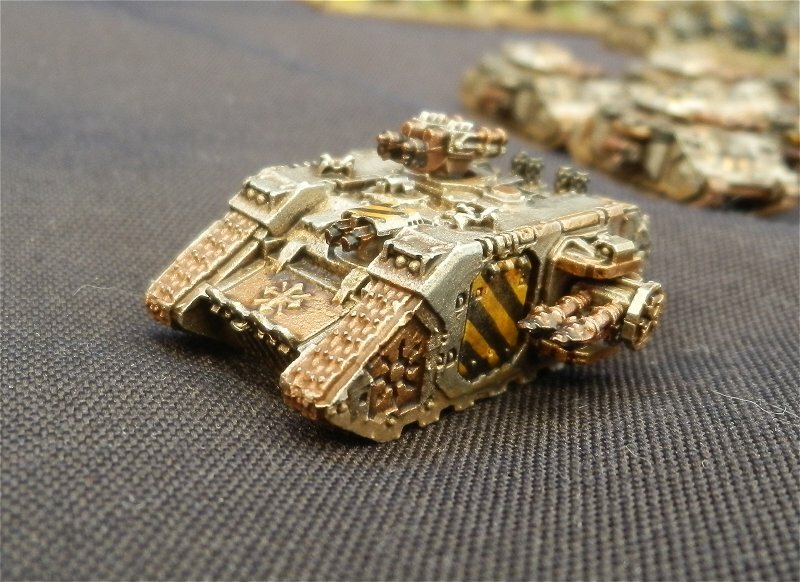 The Assault Marines have options for taking Rhinos which can provide cover (they can also be transported in the Sieglord Titan Ironfist Assault Pod). If Raptors want cover, they have to take a chance on Dangerous Terrain Tests. I admit that I haven't really considered the cost of the upgrade until now but at 2.5pts per unit, I don't really see this as a huge issue. Thanks for pointing it out though and hopefully we can fine-tune things (if needed) as test games are played. 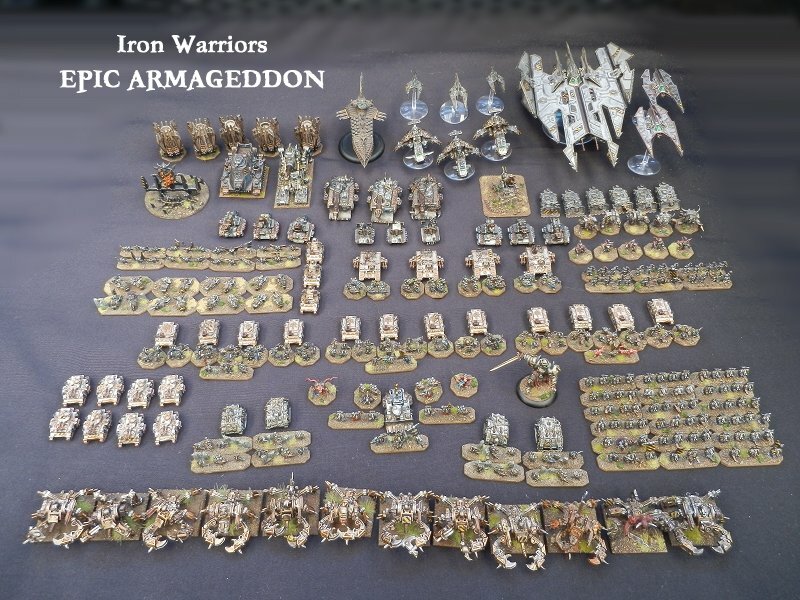 I'll be using the Iron Warriors in an upcoming 4 week campaign and then a 1 day tournament. Unfortunately, not many of the players that have signed up for these events are using NetEA approved lists, so I'll be looking for extra games from our local community to give reports on the list. Word. I don't have my disordered dudes ready to play yet (still finishing off my slaves to the corpse god right now) so I plan to be using paper proxies in the the short term to help get this tested (mainly focused on SL and Biel-Tan opponents). Before I waste a bunch of time making these, anyone already got proxy counters put together? Any particular areas that need focus on IYO? I think 50pts is the right way to go to keep it in the same points cost as the Chaos Dreadnought. We'll change that in the next version. I can't change the price of the Raptors as they exist across many established lists. We could look at the IW Assault Marine upgrade and make it 125pts for 4 stands? I agree with Graf_Spee and I wish that Obliterators could be transported but that isn't available anywhere in the NetEA Chaos lists. It would make them a more appealing formation. Should we add them to the units transportable in the Siegelord Titan? 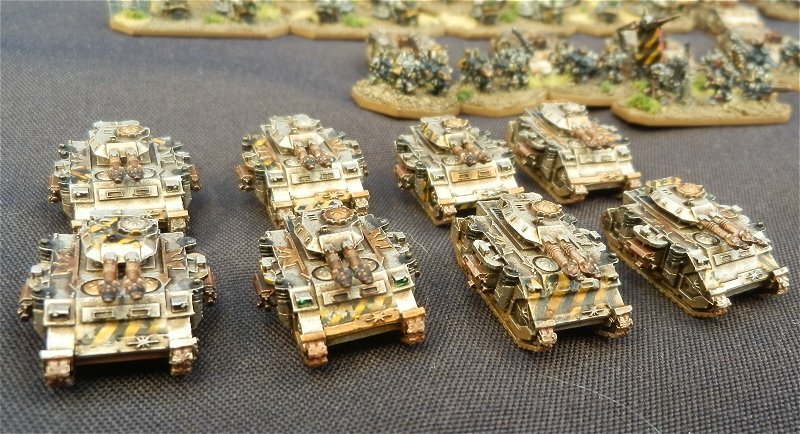 Are Obliterators transportable in 40K? You're army is looking good. I'm really looking forward to seeing them finished! A 40k Siege Dreadnought's drill comes with an inbuilt Heavy Flamer (the drill gets through the walls of a bunker or vehicle and the flames pour through out the middle of the drill). Even if you stick with it having a hammer instead of the Flamestorm Cannon the drill should be a MW attack and come with it's inbuilt Heavy Flamer. With these it would certainly be worth 75 points. 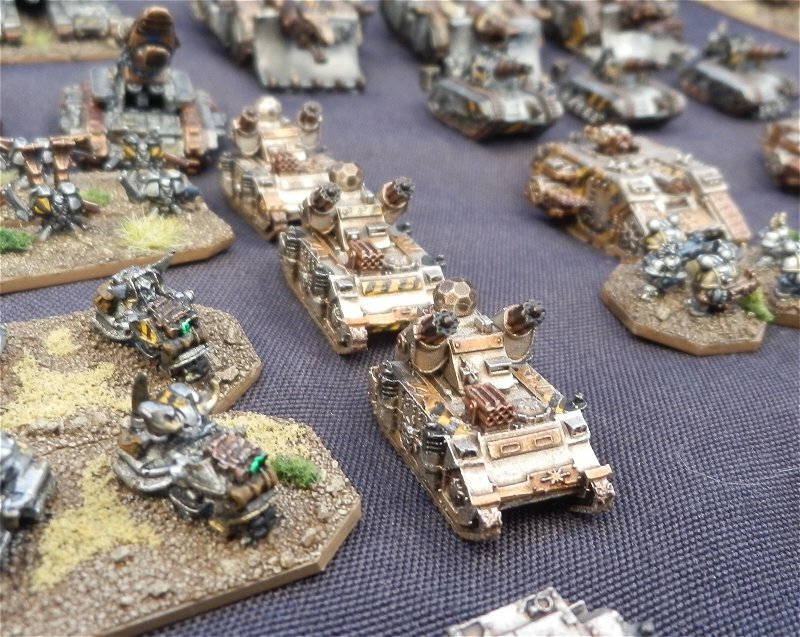 Obliterators can only be transported in a Land Raiders or a Chaos Thunderhawk, taking up the same space as Terminators so that one Land Raider can carry 1 stand of Obliterators. Hopefully I'll get to play the Iron Warriors before I leave Perth. upgrades are always costed cheaper than equivalent formations as having another activation is of massive benefit.